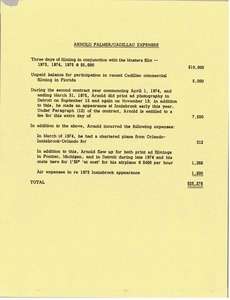 A list of Arnold Palmer's expenses for filming and a Cadillac appearance. 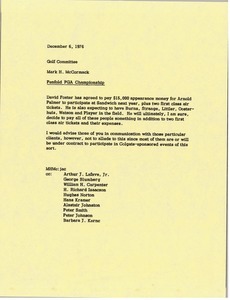 Cleveland (Ohio) - McCormack writes about Arnold Palmer's golf tournament schedule and his fees for speaking. 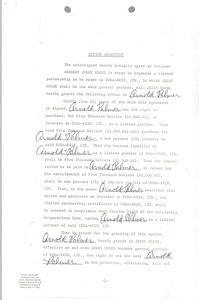 Concerning an agreement with Arnold Palmer and NBC. 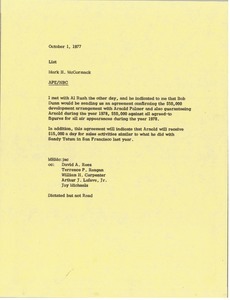 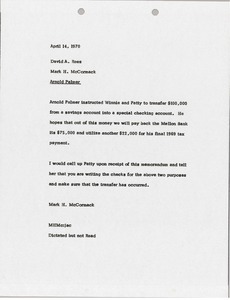 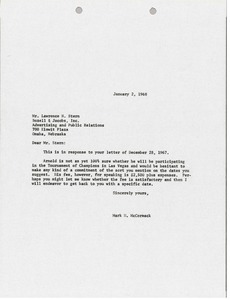 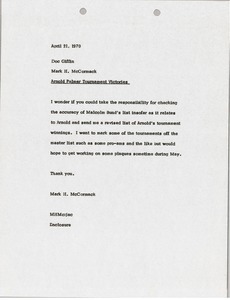 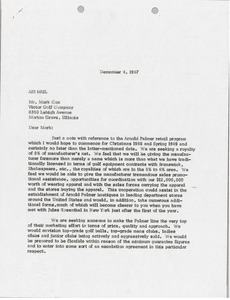 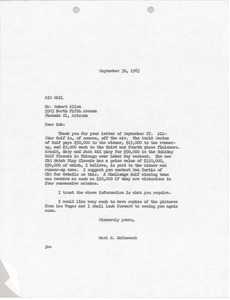 McCormack notes the general terms of the arrangement and comments on a fee for sales activities similar to what was done with Sandy Tatum. 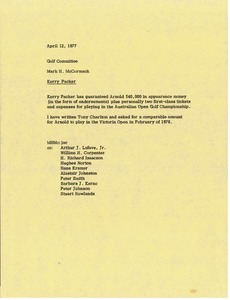 McCormack writes regarding Kerry Packer's guarantee to Arnold Palmer.